In the spring of 1819, the Steamship Savannah began a historic voyage which would usher in a new era of oceanic travel. By way of the first trans-Atlantic voyage via steamship, Savannah spanned the horizon between the age of sail and that of steam. 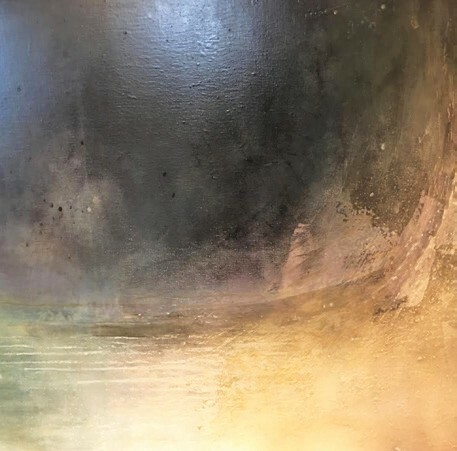 In recognition of the 200th anniversary of this historic event, Ships of the Sea Maritime Museum is pleased to offer the works of internationally acclaimed artist Cynthia Knott whose exhibit “Crossing Horizons” examines the existential essence of horizons crossed and the profound vastness of those yet traversed. Described as an “alchemist” whose paintings “border on the symphonic,” Knott is a two-time recipient of the prestigious Pollack-Krasner Foundation Grant, whose work has appeared in over 70 national and international exhibits, with recognition in publications such as Architectural Digest, The New York Times, The New Yorker, and Italian Vogue. Please visit our website at www.shipsofthesea.org.